Again, it comes down to common sense and loyalty. America has a track record for protecting Saudi Arabia from regional dictators. American presidents even sold their soul to the Saudis by not allowing America drill for oil & gas to sustain itself and meet its energy needs. America even spent it treasure and citizens to protect the Saudis and for the royal family keep their rule. America is helping the Saudi royal family keep enjoying an unreal pleasure from abuse of women, slaves, prostitution, adultery, and promoting Jihad against America. All of that with American dollars. Have you ever thought that every time you fill up your car with gas, you are supporting these Bedouins support their harlotry and terrorism against America? Now, why are we raising these questions? The least the Saudis can do is to stay loyal to America. 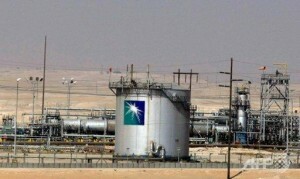 Instead they have signed a deal with Chinese oil giant ink to. It seems that American government lately have a ridiculous habit for fighting wars on behalf of others to benefit from. America fought in Iraq and got rid of Saddam to give it on a silver platter to Iran. 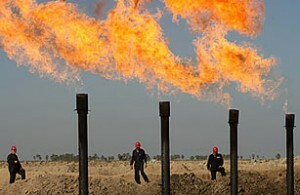 The Chinese and the Europeans got a good share of the oil deals in Iraq. Iraq Signs oil deal with China worth up to $3 Billion. Strange, we don’t remember the Europeans fought the good fight in Iraq. U.S. Companies Shut Out as Iraq Auctions Its Oil Fields. Having said that, neither Iraq nor Afghanistan has the relationship that Saudi Arabia enjoyed for over 75 years with America. Then, why are they doing this now. Well, it is a common sense deal here. America has been suffering from weak leadership since early 90’s. America has adopted the policy of nice, political correctness, and taking the back seat. China is more than willing to filling the void in world leadership. It is a National Security threat when America considers Saudi Arabia as an ally when they spend $115 million every three days to promote Shari’ah law around the world, especially in America. America should not allow this to happen, it should allow the exploration of its own oil and gas resources and let these Saudis defend themselves and go back to the 7th century culture that they are so bend in giving it to Americans through the expansion of Shari’ah law in America.